Within every organisation today, meeting rooms are busy, vibrant places, often used to showcase a business to clients and partners. On average 22% of a company’s floor space, so 22% of a company’s rent is allocated to meeting rooms. Therefore, effective and efficient use of these dedicated spaces is of utmost importance. 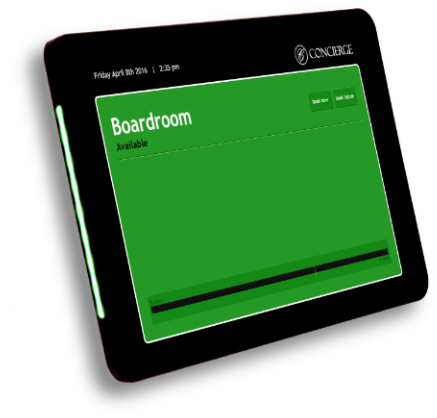 Concierge Meeting Room Displays can not only display what’s coming up, but can also be used to direct visitors to the room, show what meeting rooms are available and facilitate on-the-spot bookings for that important ad-hoc meeting or get together.